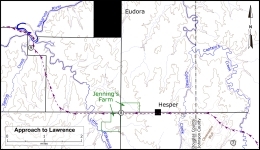 Following the Oregon Trail north from Gardner, Quantrill crossed Captain’s Creek a couple of miles east of the small town of Hesper, Kansas. Captain’s Creek a bit upstream from where Quantrill crossed. Looking northwest from just west of Captain’s Creek. 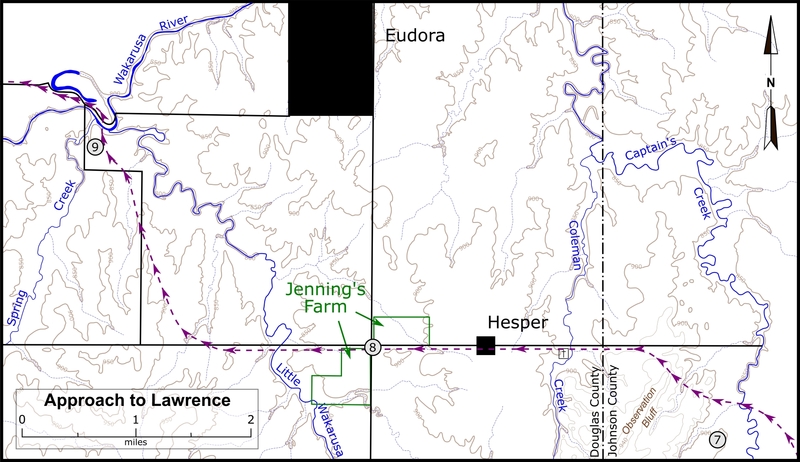 Map showing location of the Captain's Creek Crossing tour stop. Click on thumbnail to load high resolution version of the map.